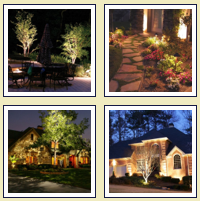 News & Tips @ Baseline Landscapes LLC. Check here for news and tips from Baseline Landscapes. Baseline Landscapes will be spraying for Crane Fly and Moss at our scheduled customers’ properties during the month of January. We are here to help you eliminate these unwanted pests, to ensure the health of your lawn and plantings. Please call Baseline Landscapes if you would like a free estimate for our services, which include landscape pest management for all our regular customers. Welcome to our new and improved website! We have worked hard to provide you with more content and information about who we are and the services we provide. Everything from basic landscape maintenance to Naturescaping, Rain Gardens and Sustainability, Baseline Landscapes is your number-one choice for ECO-Friendly Landscape Contractors. Please check out our Services page for information on the services we are able to provide you. Also, please feel free to Contact Us or call us [(503)998-1155] for a Free Estimate on any Landscaping services you might need.